As healthcare costs continue to soar, retirees are digging deeper and deeper into their savings to try to pay for healthcare and long term care costs. According to the Congressional Budget Office, it is estimated that by 2050, one-fifth, or 20%, of the U.S. population will be age 65 or older. That is up from 12% in the year 2000 and only 8% in 1950. Naturally, with the increase in the elderly population, comes the increased need for long term care services and according to the laws of supply and demand, an increase in the cost of those services. According to the Genworth 2014 Cost of Care Survey conducted by CareScout, home health care had an average annual cost of $51,205. According to the same survey, the growth rate over the next five years for home health care is estimated to be around 1% annually. 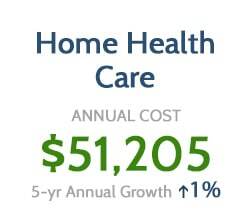 Therefore, in 2019 home health care is projected to cost an average of $53,817 annually across the U.S. In 2014 the cost for adult day health care was $16,900 with a five year annual growth forecast of 3%. In 2019, that cost is expected to be $19,591 on average. In 2014, the typical annual cost for an assisted living facility was a staggering $58,740 with a five year annual growth forecast of 4%. 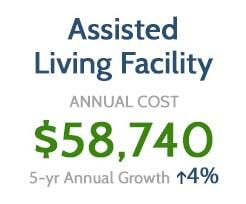 So in 2019, the cost for a year in an assisted living facility is estimated to grow to an average of $71,466. 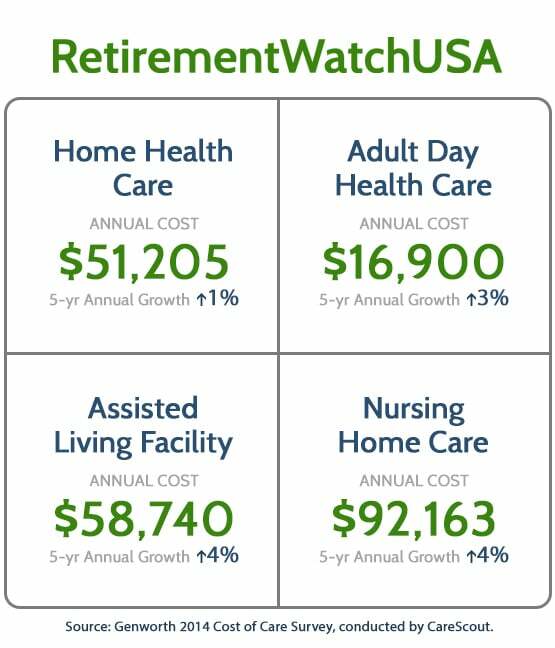 Nursing home care in 2014 was an average of a crushing $92,163 per year with a five year annual growth forecast of 4%. 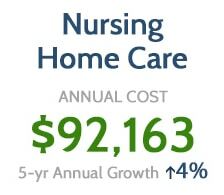 By comparison, the estimated real median household income in 2014 was $53,657, coming well short of the cost for nursing home care in the U.S. By 2019 nursing home care is projected to rise to the unprecedented average cost of $112,130 annually across the United States. As you can clearly see, the costs for long term care are staggering and are only going to continue to rise in the future. So, how can we possibly pay for such high costs, especially in retirement? Let me introduce you to Thomas and a product called Asset-Based Long Term Care Insurance in the following short video. The Pension Protection Act of 2006 paved the way for individuals to protect their retirement accounts from the exorbitant costs of long term care. The PPA plans use an asset-based life insurance method that allows you to move money from an existing retirement account to an asset class that could generate up to nine times your money in tax free benefits that pay for long term care. To learn more about the Pension Protection Act and Long Term Care, please schedule an appointment by using the form here or give us a call at (972) 473-4700 to speak with a representative. We look forward to speaking with you soon.